LIVONIA – The Livonia Turkey Trot is in the books as Ben Gajewski won the men’s race and Clarrisa Hensler won the women’s race. 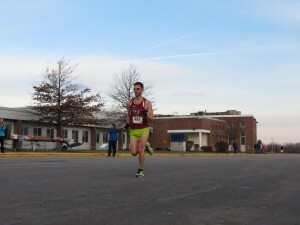 Gajewski, 29, ran a time of 20:002 which is a pace of of 5:53/mile and Hensler, 16, won with a time of 21:152 at a pce of 6:25/mile. The race is held to support the Livonia Food Pantry and was hosted by the Livonia Central School District & the Village of Livonia. 561 runners signed up with 295 participants finishing.